John and Betty Keen have turned volunteering into a family affair. For the better part of 20 years, the 73-year-old couple has dedicated their retirement to helping others, volunteering in various healthcare settings, including at the former St. Catharines General Hospital. They moved to the new hospital when it opened five years ago where they continue to volunteer today. John volunteers in oncology in the Walker Family Cancer Centre, and Betty volunteers at the welcome desk and in the outpatient clinics several days a week. Their daughter, Laura Kozicki, 54, also volunteers in the cancer centre and Laura’s twin daughters volunteered with Canadian Blood Services when they were in high school. Giving back to the community is part of this family’s DNA. In his volunteer vest pocket, John still carries a thank-you card he received from a patient’s grateful daughter some time ago as a reminder of the importance of his role. John is still touched by the words. The Keens are part of a group of 850 extraordinary people who volunteer their time and skills in a variety of roles at all of our sites. 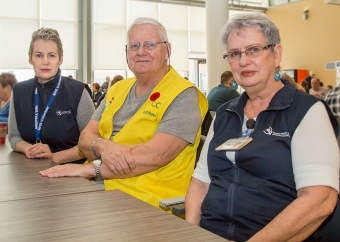 Niagara Health is celebrating the tremendous contributions of all of our volunteers and auxilians this week as part of National Volunteer Week April 15-21. A simple thank you goes a long way to showing these dedicated, professional people how important their roles are in our hospitals. Betty said she still blushes when someone shows their gratitude for the work they do. Betty and her daughter Laura have both been patients in the Walker Centre too, receiving chemotherapy and radiation treatments for cancer in the last two years. So giving back through volunteering is important to them to show their appreciation for the compassionate care they received. “Being patients in the hospital shows you the flip side and you realize how much people care and how important the volunteers are,” said Laura who also works for Niagara Health in the Medical Device Reprocessing department. 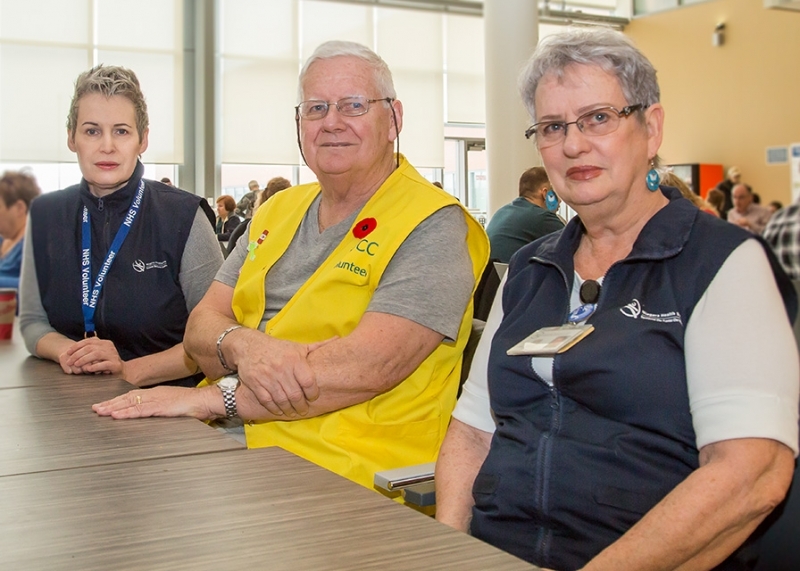 Niagara Health President Suzanne Johnston said volunteers play an integral part in providing compassionate caring to every patient, their loved ones and every visitor in Niagara’s hospitals. The Keen family doesn’t plan on slowing down anytime soon and encourage others to apply to volunteer in some capacity in the community as a way to stay active, social and valued after retirement. For more information on how to apply to become a Niagara Health volunteer, email volunteer@niagarahealth.on.ca or call 905-378-4647, ext. 44630.